Way back in the 80's it was pretty difficult not to have heard of Texas what with JR, Bobby et al doing their bit to raise the profile of Dallas however, these days, you may need some more info if you're planning a visit. Texas is big, in fact, it's vast and the second largest state in America, just behind Alaska. It's also pretty popular too and second only to California when it comes to inhabitants with over 25 million people calling it home. Anyway, aside from the stats, Texas is also a great place to visit with cities, such as: San Antonio, Dallas and Houston, always providing plenty of eat, sleep and party options in and around some awesome natural settings. Austin, as the capital, is also well-worth your time and considered to be one of the safest cities in the USA as well as one of the quirkiest with 'Keep Austin Weird' bumper stickers providing a reminder of the locals' love of the surreal. From theme parks and space stations to 6th floor book depositories and the Battle of the Alamo, Texas is a unique blend of history, fun and rodeo action with more things to do than you can bring down with a lasso. 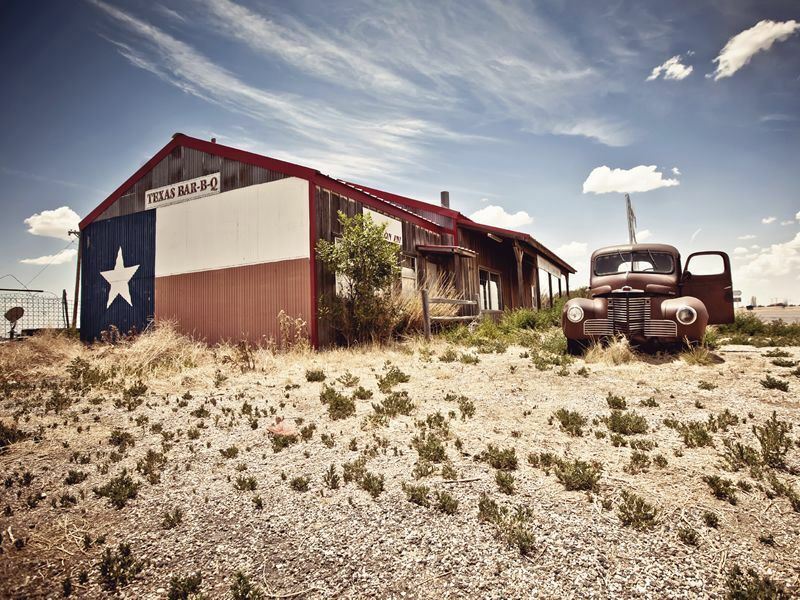 Below is a closer inspection of the four major cities mentioned above and if you're looking to explore then basing yourself in one, or travelling in between a few, is an excellent means of finding out what all the fuss is about in the Lone Star State. As the capital of Texas, Austin has plenty to offer visitors with loads of parks, lakes and gardens from where to cool down on a warm summer's day in the city. It's, almost central, state location makes it ideal for exploring Texas as a whole although, with a diverse and upbeat range of festivals, live music venues and comedy clubs, there are plenty of reasons to stay put. If you can tear yourself away from the city sights then McKinney Falls State Park is definitely worth a visit with loads of hiking trails and picnic spots to make a full day's itinerary fly by. Bullock Texas State History Museum is also an excellent option on a cloudy day and an absolute must if you're planning on making time for an interactive history lesson. Go swimming in Barton Springs Pool when the weather's right and check out the rest of Zilker Park too as you'll also find a botanical garden, mini-railway and live theatre productions, especially during the summer. If you're looking to take in a concert or gig whilst staying over in Austin then you're in luck as this is the self-proclaimed capital of live music so check out listings and get involved. An excellent base from where to hit the local haunts is the Driskill Hotel which has almost 200 guest rooms as well as its very own grill restaurant and café bakery perfect for those early morning coffee wake ups. Oil barons, sweltering summers and infamous assassinations have long been associated with Dallas, Texas, however, delve a little deeper and you'll find no end of Tex-Mex restaurants, art galleries and fabulous museum exhibits to more than add to the allure. With loads of parks, pools and running trails there are plenty of excuses to work off all those huge BBQ portions although, watching the Cowboys with a 'foot-long' is often just as rewarding, sort of! Basically, you have to see the 6th floor museum relating to the shooting of JFK if only to tick a box and unleash your best conspiracy theories. If modern history isn't your thing then a great alternative is the Dallas Museum of Art and sculpture garden which features around 25,000 works of art stretching from ancient Egypt to the present with free admission always a plus. Get active outdoors as Dallas has a wide range of recreational areas featured within more than 400 public parks. Jog, cycle, swim or play basketball, you name it and you can do it within the city limits. As you'd expect from the Big D, some of the hotels are vast with the Sheraton Dallas Hotel proving to be absolutely no exception with almost 2000 air-conditioned guest rooms. An excellent central location adds to the Sheraton's appeal and sneaking up to the top floor will give you some awesome views of the city. Do we have a problem? Heck no, Houston's got it going on with aquariums, board-walks and modern art galleries providing an eclectic range of alternatives to the space race. As the largest city in Texas you can expect to find everything from clubs and bars to outdoor theatres however, no trip to Houston is complete without at least a morning spent at the space centre so best to get it out of the way first. Take in some culture as Houston is famed for its promotion of the arts and as such the city's museum district holds 20 different cultural centres featuring everything from Buffalo Soldiers to Mark Rothko and is well-worth at least a day on any traveller's itinerary. Visit the Space Centre whilst you're here as from space capsules and lunar vehicles to cinemas and tram tours, this is pretty much the number one reason why Houston is one of the most popular destinations in the whole of Texas. Staying over in Houston is a great idea if you're thinking of checking out the night life and if you fancy sleeping in some style then the boutique Indigo Hotel is definitely a great place for a base. Just over 130 guest rooms and a fab city centre location make the Indigo ideal for starting your count down to the night or day ahead. With no end of monuments and reminders of Texas' revolutionary past , San Antonio is often referred to as 'Alamo City' but there's plenty more attractions besides, including: a two mile river walk aligned with cafés, restaurants and boutique shops. Make sure you take in a few of the historic battle grounds and Spanish border fortresses contained within San Antonio Missions National Historic Park. Although the world-famous Alamo Mission isn't featured there are four fairly intact churches which are: Espada, San Jose, San Juan and Concepcion. Check out Six Flags Fiesta theme park as it's just an awesome day out and packed full of rides, slides and take-away outlets to help you make the most of the San Antonio sunshine. With almost 50 attractions, including: eight roller-coasters and nine water splash rides, Six Flags is a must if you're travelling with kids or just fancy letting your hair down and screaming for a few hours. San Antonio at night is awash with Tex-Mex restaurants, craft beer pubs and open-air venues with accommodation, such as the Omni Hotel, offering plenty of chances to get out there and have fun. With over 300 guest rooms and some great views of the undulating Texas Hills, the Omni is an ideal base to see the sights with Sea World and the River Walk a mere stone's throw from the porch.